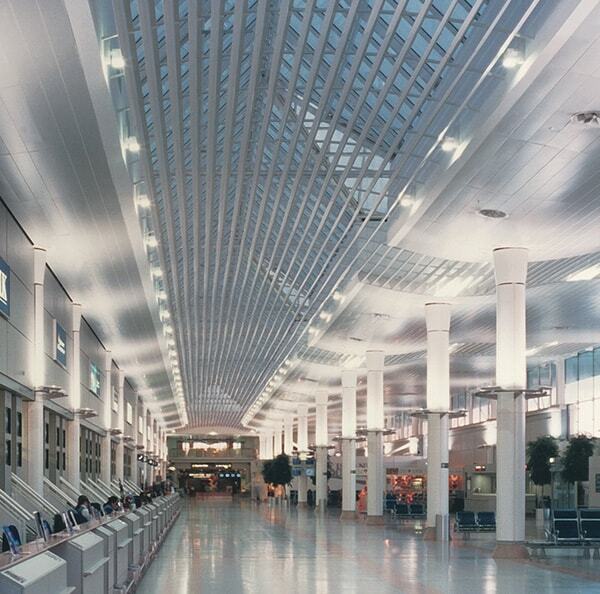 Our interior metal linear closed ceilings offer a smart and sleek look. Though simple in design a linear closed ceiling utilises panels of various sizes to create an impressive, uninterrupted appearance. By combining different panel widths and sizes, you can create simple yet extremely effective designs. The panels are firmly clipped onto the carrier system to form a cohesive look. These are ideal for any interior environment but particularly offices, airports, retail and leisure spaces. 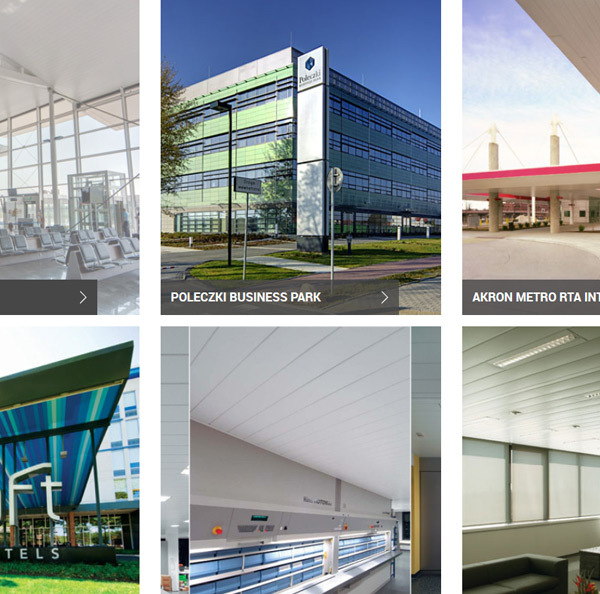 Thanks to the different panels sizes and configurations, our linear closed ceilings are available in a range of variations. Our 75C, 150C and 225C range utilize different width panels to create a directional effect, while our 84C range consists of box shaped panels, with a flange that closes off the joints. 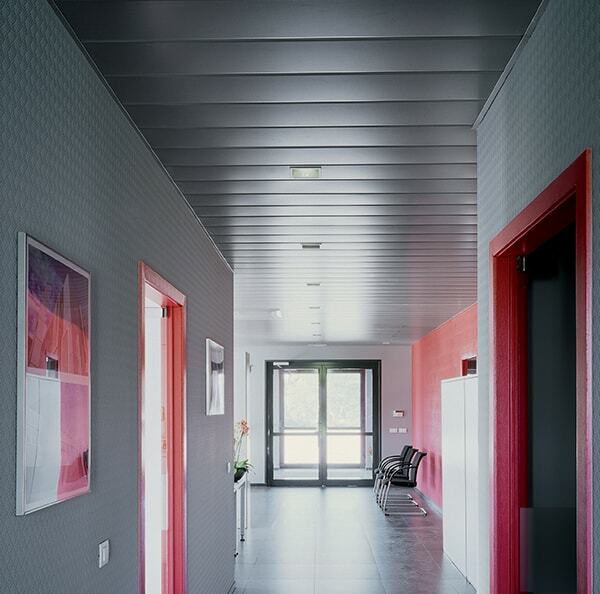 Just like all our interior ceilings, our interior linear closed ceilings offer excellent acoustic performance. For optimal acoustic performance, we can perforate the panels with 1, 1.5 or 2mm round holes. All of the perforated panels are supplied with a sound absorbing non-woven tissue as standard. This is glued into the panel for enhanced acoustical performance. Our Luxalon® Linear Closed ceilings are available in a wide range of standard colours or RAL colours, with the option to add special effects where desired. Specialist colours include metallic and chrome finishes. For more information, please give us a call. 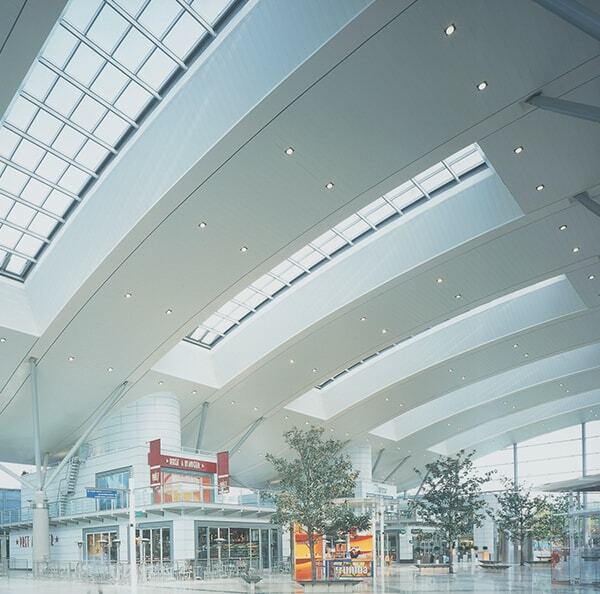 Our metal suspended ceilings are classified as incombustible. This means that they wont contribute to the spread of fire if the worst should occur. They are also extensively tested against fire stability. More information is available on request. Be inspired on our project gallery with interior metal linear open ceilings. Click on the photo for more information.